Bingo is a fun-game that relieves stress and rejuvenates mind. It is a game of chance but there are some simple tricks that may elevate the enjoyment as well as improve your odds at winning a game of bingo. Get The Basics Right: The key to a smooth bingo game is to master the basic rules and etiquettes of the game. Educate yourself on the nature of game cards, bingo letters on the cards, bingo lingo, when & how does the game start, when to notify the caller and other unspoken rules of the game. Choose The Right Number Of Cards: It is true that the probability of winning the game is higher if you purchase more cards. But buying too many cards can make it difficult to scan them accurately making you miss some numbers and potential wins. Thus, it is important to know your limitations and buy as many cards as you can handle easily. Arrive Early: Arriving early lets you get a seat of your choice and also gives you time to get accustomed to your surroundings. You can set up your play area, get some snacks, meet your friends and be ready with your supplies before the first number is called. Also, experienced players recommend securing your game cards with the help of tape or gluing stick. Sit Near The Caller: This gives you an upper hand as there are fewer chances of missing on a combination that has been called out. Mark Your Patterns: If you are playing a bingo game that requires patterns, bring along a highlighter to mark your cards. This will make it easier for you to identify when the numbers in your pattern are being called out. Be Alert: Take care not to get too caught up with socializing while playing the game. Pay full attention to the caller so that you do not miss any call as this can affect your prospects of winning. Take A Break: Take advantage of every break during the game to use the bathroom, get some snacks, socialize, stretch or simply breathe and relax. You will feel refreshed and more focused on returning to your game. Bingo is a fun filled game played by both young & old alike. It gives people an amazing opportunity to socialize while contributing towards charity. For enjoying a game of bingo, visit Texas Charity Bingo halls that are operational at numerous locations in Texas. Bingo is one of the oldest games that has stood the test of time as it is a favorite among people of varied backgrounds and age groups. People love bingo as it brings fun, excitement as well as social, mental and emotional stimulation. It is indeed a game for those who are young at heart! Space/ Accommodation: The first thing to look out for in a bingo hall is the level of accommodation available. There should be enough space for the players to freely move around without feeling congested and stifled. Reputed bingo halls pay special attention to the comfort of players. Their halls have ample space and seating arrangements so that each player can have a comfortable experience. Staff: Friendly and helpful staff is a pre-requisite to a good game of bingo. Pay a visit to the bingo hall of your choice and take a notice of how the staff treats you and talks to you. Do they go out of the way to assist you? Are they patient with your queries? Are they prompt to help you out? If the answer to these questions is yes, then go ahead. Ventilation And Lighting: A dark and dingy room does not match the spirit of playing bingo. It is a fun game that calls for a bright and airy place. Ventilation and lighting are one of the most important things to consider when looking for a bingo hall. Take a look at the lighting (artificial and natural) and whether there are enough windows for letting in fresh air. Snacks: A good bingo hall should have provision for yummy nibbles between the games. Bingo is a great workout for the brain and you might want to snack on something after short intervals to keep energized. So, healthy snacking options should be available at the hall. Comfort Level: You must check the type of seating arrangement provided at the hall. The seats should be comfortable and tables should be big enough to accommodate your basic belongings. For enjoying a game of Bingo, visit Texas Charity Bingo halls that are operational at numerous locations in Texas. Bingo is a fun-filled game that is thoroughly enjoyed by people of various age groups throughout Texas. However, to make the most out of the game; in terms of fun and the incentives it offers, there are certain things that should be done and others that should be avoided. Arrive early: Regular players arrive at least one or two hours prior to the start of a bingo game. Arriving early is important for preparing for the game. You get to choose a seat of your liking, prepare your cards, set-up your good-luck trinkets, grab a snack and so on. By the time the game starts, you will feel composed and ready to play. Prepare: Preparation for a bingo game involves things like bringing some essential materials such as dauber pens, tape or glue-stick, a cushion for added comfort, etc. The glue-stick or adhesive will be handy if your table is slippery. These supplies will help in keeping your game board secure to ensure that you do not miss a potential win. Choose a seat: Smart players know the value of choosing a seat that is close to the caller. Not only will you hear the combination called better, you may even be able to get a glimpse of the next ball. A good seat minimizes the chances of missing out on a combination. Be alert: Bingo halls are a great hub for socializing and making new friends while enjoying a game. However, when the game is on, be alert and don’t get distracted with ongoing chatter and murmurs. During a game, your full attention should be on the announcer. Prepare cards: If you are playing a game of bingo that requires specific patterns, take time to mark your cards accordingly. This should be done with a highlighter. Learn the lingo: Take time to educate yourself on the bingo lingo. This will help you match up to the expert players and not feel lost and confused. Take breaks: All bingo halls have schedules for games and breaks. Utilise the breaks to go to the bathroom, do some snacking, stretch or simply walk around. Taking a break clears your head and helps you focus better. Don’t talk during the game: Once the first number is called, make it a point to talk less and focus more as you may miss a number while talking. For enjoying a game of Bingo, visit Texas Charity Bingo Halls that are operational at numerous locations in Texas. Visit https://www.texascharitybingo.com/ for further details. Bingo is an exciting game, which is enjoyed by people of all ages. Bingo Barn, Texas offers an amazing platform for people to socialize, play bingo and try their luck at winning the jackpot. Although bingo is mainly a game of luck, by improving your playing skills you can increase your chances of winning. Know The Rules: In order to play the game effectively, you need to understand the rules of the hall and play accordingly. The rules can vary for different versions of the game and you should get yourself familiar with them before beginning play. Be Punctual: Make sure you arrive early at the hall so that you can occupy the seat of your choice and be comfortable before the game starts. Arriving early also gives you chance to interact with the fellow players and learn new skills. Number Of Cards: To play the game, you will need to buy bingo cards or tickets. You can buy as many cards as you want but it is important that you buy as many cards as you can comfortably play. Purchasing too many cards can lead to confusion and you may end up missing the numbers called. Know The Pattern: The hall usually issues the winning patterns before the game starts. This pattern informs how you have to daub the numbers in order to win the game. Some of the common patterns used in the hall include 4-corners, X-pattern and coverall. Be Attentive: Once the game starts, the caller calls the numbers, which are randomly selected and displayed on a large board. You should make sure that you sit near the board so that you can easily see the number. You will also need to pay close attention to the called numbers because if you miss a number you lose your chance of winning. The person who marks all the numbers according to the issued pattern has to call bingo before the next number to claim the jackpot. Be Audible: While calling out ‘Bingo’, you need to shout loudly over the crowd so that the caller hears you. We, at Texas Charity Bingo, offer exciting prizes and games for the people of Texas. For more information about our bingo game schedules, you can call at (979) 779 – 2871. Most of the bingo players feel that luck has a big part to play in winning the game and this is the reason why Texas bingo halls and good luck charms are associated with each other. Depending upon one’s belief, every player carries his lucky mascot with him while visiting the bingo hall. Rabbit’s Foot: Most bingo lover’s feel that keeping a rabbit’s foot helps to protect them from the evil look of other players. On the other hand, some of them think that it is just cute and would bring good luck to them. Troll Doll: This is another thing that people like to take with them at the bingo halls. A number of players think that this little doll has the power to make them win the game. Special Pictures: People also think that keeping the pictures of their loved one while playing bingo can also increase their chances of winning the game. These are believed to be a source of mental support and concentration. Key Chains: Bingo players bring special key chains with them when they visit the bingo hall. They like to keep them besides their computer screen or bingo paper cards. The keychain is believed to bring good luck whether it is due to the color of the keychain, the message, symbol and design on it or the person who gifted it to the player. Coins: A lot of bingo players even like to carry a good luck coin with them whenever they go to a bingo hall. They believe that having that coin with them can help them win the game. Who Is At The Winning Edge? 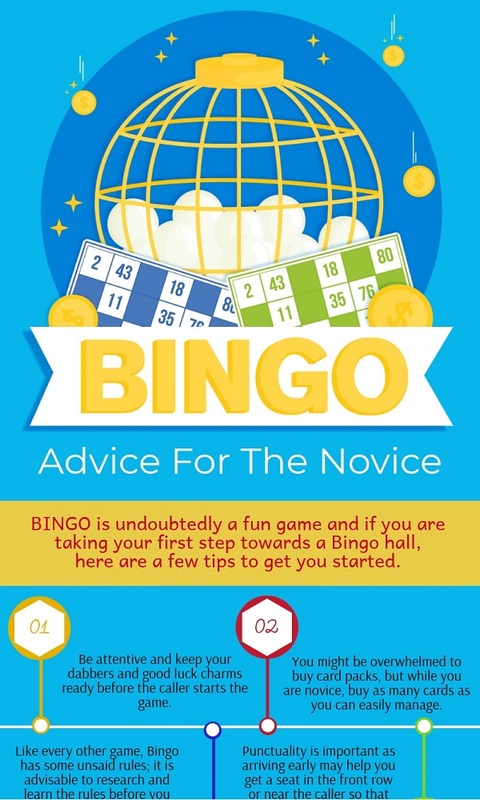 Bingo requires a player to be mentally alert and physically active. You need to carefully listen to the called out numbers, mark them out on your cards and be spontaneous in yelling ‘BINGO’ once you complete the pattern. For this, you need to be tactful while playing the game along with having luck on your side. Applying certain tips and tricks, using your previous experience and little bit of good luck combined together calls for winning a bingo game. Texas Charity Bingo is a renowned bingo hall offering a wide range of exciting games for the people of Texas. We are situated in multiple locations across Killeen, Bryan, Georgetown, Harker Heights and Copperas Cove, TX. To know the schedule of our bingo games, you can call at (979) 779 – 2871. Bingo is a very popular game that is enjoyed by people of all ages. Visiting a bingo hall is a great way to spend leisure time with friends, make new friends and stand a chance to win many attractive prizes and cash rewards. Playing bingo socially also offers many social and intellectual benefits to the players. Charity Bingo 4 is a popular bingo hall in Georgetown, TX that offers exciting games to its members. Paper Card Bingo Games: This is the most traditional version of the fun filled game of bingo. In this, the players have to purchase pre-printed cards, each having 5 columns and 5 rows. Every card has 24 random numbers with a free cell in the center. The cards also have certain security features like card authentication number and serial number. As the caller begins to announce the numbers, the task of the players is to mark the corresponding numbers in their cards. The first player to mark out all the numbers in a given pattern, and calls ‘Bingo’ is declared the winner. Electronic Bingo Games: This is a more modernized form of the conventional bingo game. Although the basic rule and strategy remains the same as paper card bingo, there are a few differences between the two. In electronic bingo, the players are provided with computer screens in place of paper cards. As the caller announces the number, the player has to spot the corresponding number on the computer screen. One significant advantage of playing electronic bingo game is that it allows the player to manage multiple cards at the same time. In both types of bingo, it is important that the player must call out ‘Bingo’ immediately after completing the pattern. The caller then verifies the numbers and declares the winner for the session. Attractive jackpot prizes and cash rewards are offered to the winner, which vary from game to game. You can visit Charity Bingo 4 in Georgetown, TX and play some exciting bingo games in a fun filled environment. We organize different sessions every day and themed bingo games on special occasions. For more information about our bingo hall, you can call at (512) 863 – 8811 or visit us at 6590 South Lakewoods Drive, Georgetown, TX 78633. Bingo is a fun and relaxing game for people of all age groups, whether they are young or old. Initiated in the 1500’s in Italy, bingo is still played with the same enthusiasm even today, having become a billion dollar industry. Originally, the game was called “beano” which later evolved to the name “bingo”. There are a lot of people who love to settle down for a get together just to have a fun game of bingo. Below given are ten interesting facts about Bingo that every bingo lover needs to know. The game was originally known as “beano” in the US. It was when a bingo enthusiast, who got so much overwhelmed by his prospective win that he shouted bingo instead of beano, the game was renamed to Bingo. Bingo is good for brain. It keeps the brain trim and more agile. According to studies by Harvard and Southampton University, people who regularly play bingo are much better at mental activities than non-players. Playing bingo is as good for health as any physical exercise. This game was originally used by the Germans in order to teach numbers and history to children. Carl Leffler, a mathematician at Columbia University, went insane after developing 6,000 number combinations for the game. Bingo addicts who constantly play the game are known to be very superstitious as they have lucky chairs, lucky pens, lucky numbers and even lucky undies. Also to keep bad luck away, the superstitious bingo players go around the chair three times before sitting on it. Women with name ‘Margaret’ have been seen to win more in bingo than women with any other names. In the year 1934, more than 10,000 bingo games were played per week. Currently, players in US play bingo cards worth 90 million dollars. Another interesting fact about Bingo is that more than 96% of players have already won the game and a prize in the past. This also means that as a bingo player, you also have very high chances of being a winner. Majority of the bingo players do not play the game to win a prize. One of the main reasons why people love to play bingo is because it provides a lot of social benefits. This popular game has got many followers and one can see bingo halls packed with the game lovers every evening. In present times, playing charity Bingo is one of the most important means of raising funds. Even traditionally, Bingo was played with a view to raise funds for social welfare. Today it continues to play an important role in helping people socialize and contribute to the society. A game of charity bingo is same as playing regular bingo and the only difference is that some part of the profit earned is contributed to a social cause. Most of the bingo halls cater to one or a group of charities and players contribute to the charity by purchasing the bingo cards. Although there are many varieties of the game but there are some basic rules that every beginner player should know. Generally, the players have some numbered cards with them. A person, known as the caller, yells out these numbers on a random basis and the players are required to fill up the pattern with the numbers being called out. The one who fills in all the numbers has to shout ‘Bingo’ before the next number is announced. Texas Charity Bingo make the game all the more interesting for players by offering great prizes and even cash rewards. Other incentives might also be there like free food or an extra bingo card on the purchase of a certain number of cards. Talking about the social aspect of Bingo halls, this enticement can never be provided by online bingo. Bingo also helps you to stay mentally agile as you have to be quick enough to shout ‘Bingo’ otherwise you may forfeit your chance of winning. You can also have the opportunity to learn a lot of tips and tricks from the senior bingo players. Thus a game of bingo helps you socialize and master the game to win exciting prizes. The most important thing while playing charity bingo is to find a genuine and authentic charity bingo hall in Texas. You should make sure that it is a registered bingo hall and must be able to prove its legality. Texas Charity Bingo halls have been authorized to host charity bingo games and are associated with a number of well-known charities. Visit us at Killeen, Georgetown, Copperas Cove and Bryan in Texas to have the real fun of playing bingo in a stimulating ambience. To know about the schedule of charity bingo games, feel free to call us at (254) 628-7740.